Wine Glass Set supplier here now.OEM and ODM One-stop service Customized, Happy to send a sample to you for confirming quality. 1. More than 13 years manufacture. 2. One -stop service more than 10 years. 5. We have more than 13 years of export experience. 6. Happy send samples to you confirm quality. 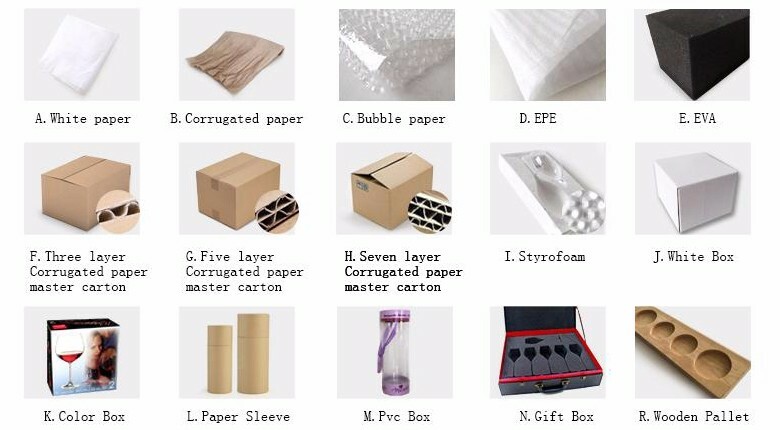 Q: What kind of package for wine glasses set? Q: Can you provide certificates for wine glasses set? Send your inquiry to our good quality 02 Colored Wine Glasses Wholesale products.